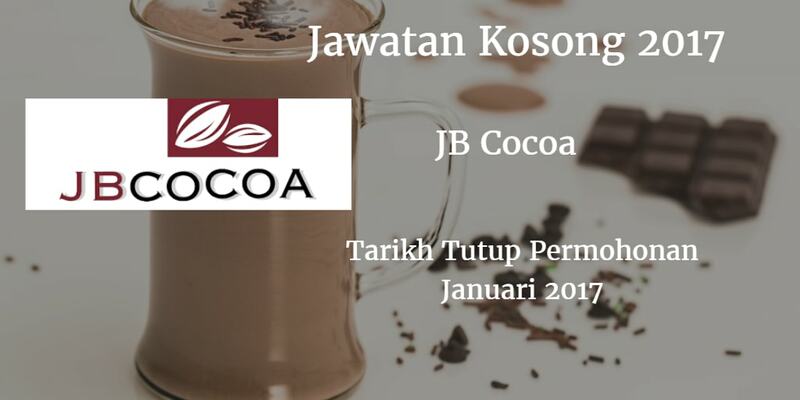 JB Cocoa mencari calon-calon yang sesuai untuk mengisi kekosongan jawatan JB Cocoa terkini 2017. 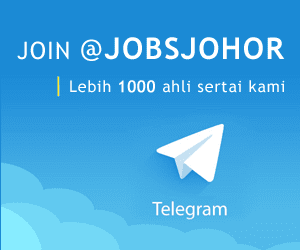 Warganegara Malaysia yang berminat bekerja di JB Cocoa dan berkelayakan dipelawa untuk memohon sekarang juga.
. Take immediate action during machine breakdown & follow up with action.
. Provide support for equipment maintenance.
. Responsible for workshop repair service, technical support & production automation projects.
. To carry out modification & installation activities such as machine wiring, sensor installation & etc.
. Perform scheduled preventive maintenance, calibration, machine evaluation and other equipment related activities.
. Upkeep proper documentation for maintenance activities.
. In charge for equipment maintenance.
. To carry o. modification & installation activities.
. Candidate must possess at least a SPM, Professional Certificate, Engineering (Mechanical) or equivalent.
. Required language(s): Bahasa Malaysia & English.
. To ensure the smooth running of the production and to minimize the downtime.
. To practice GMP in daily housekeeping and maintain the personnel hygiene and cleanliness of the production area/floor and machine.
. To record all data required and report any changes in process to manufacturing Line Leader/Supervisor.
. To perform the cleaning and preventive maintenance checklist as per pre-determined interval.
. To minimize the waste produced by Production.
. To ensure the safety when running the production.
. Able to wtrite and read Bahasa Melayu or English and follow the instruction.
. Able to work shift.